I am pleased to report to the membership that at the last Boot Co pub night – Industrial Tinsel that we finalized the grant program for 2014 and granted monies to 6 worth while programs within our diverse community. The total amount granted for 2014 was $6,000.00. This could not have been possible through fundraising efforts such as our raffles that are regularly sponsored by various organisations and also the support of our members and their guests at our events. Christmas can be a very alienating time in the life of LGBTI people. The Seniors’ Community Visiting Service (SCVS) sees a lot of this throughout the year; however, the festive season is often anything but for people who may be isolated from family and have few friends with which to share the day. 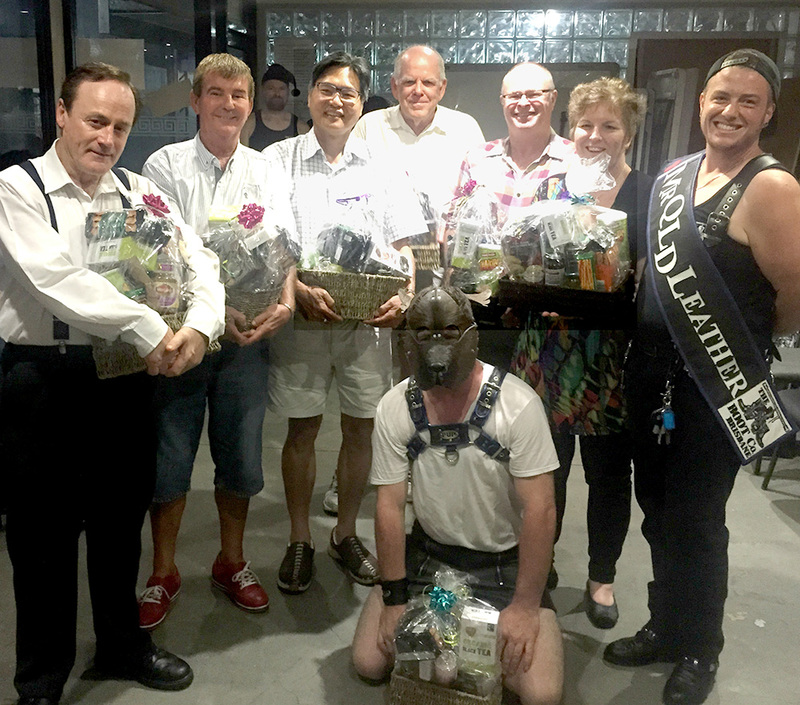 By providing hampers of food and small gifts to our LGBTI elders visited through the SCVS, we hope to provide a small measure of cheer and reinforce for our visitees that someone cares and that they are in our thoughts. Granted Amount: $1000.00… This project received the support of the entire committee, and even brought a tear to a few our tough leathermen, we are so glad as representatives of our community, we had the opportunity to support our many of our aging community members at Christmas. We propose to use any grant from Boot Co to assist with MARS advertising costs in Newspapers and brochures. Unless men know the group exists they can’t access it. We open the group to new men four times a year and need to place advertisements in newspapers four times a year. Clinic 30 will be applying for a grant to purchase a vaccine refrigerator for the clinic. It will serve purposefully within our clinic as we often have a high diagnosis of asymptomatic gonorrhea, the treatment for it is an injection. Previously, we have had to send people away to another clinic in the area to get the treatment, with a vaccination fridge we can manage diagnosis and treatment in-house. It will also be very useful for people seeking immunizations, such as the HPV immunisation for women, influenza vaccination, tetanus, etc. With the addition of the ability to perform injections at the clinic, it will greatly expand our services and benefit both the organisation and the community. As a support agency for people living with HIV, we propose to offer our community an alternative to a sterile clinical office environment through transforming our back area into a “green space”. The big picture is to create a green relaxing and social space that our communities want to use regularly as an escape and to meet peers and to enjoy the atmosphere. It is the desire to ensure that the space will be enjoyed by member events and organisations and/ or groups to support and encourage their communities. Purchase disposals to support the running of the Gender Clinic, The Gender Clinic run solely on the generosity benefactors and without a constant income stream. The Clinic relies on the support where it can to purchase disposable medical items needed to treat and support people who use its services. These medical consumables are staple in the effective functioning of the clinic. The aim of the project is to increase knowledge of HIV and other sexually transmitted infections and blood borne virus of Aboriginal and Torres Strait Islander community in Brisbane. The workshop will target gay men, lesbian, sister girl, brother boy and others through an interactive workshop. In total Boot Co. received 13 applications for many worthwhile projects, we look forward with the continued support of our members, to be able to offer another round of grants in late 2015.